The Rijksmuseum Twenthe recently received a fairly small triptych from around 1530 on loan from a private collection. 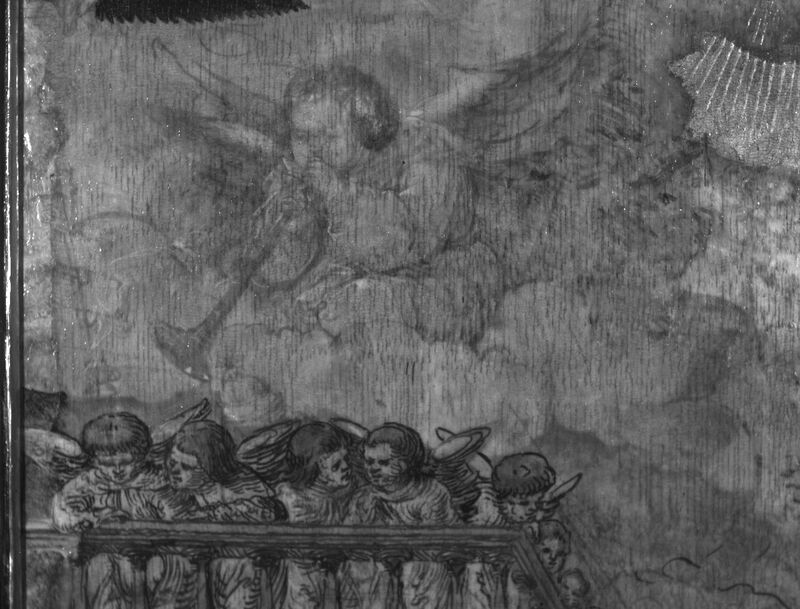 The main scene is The Last Judgement, and the Annunciation and the Birth of Christ are depicted on the interior wings. 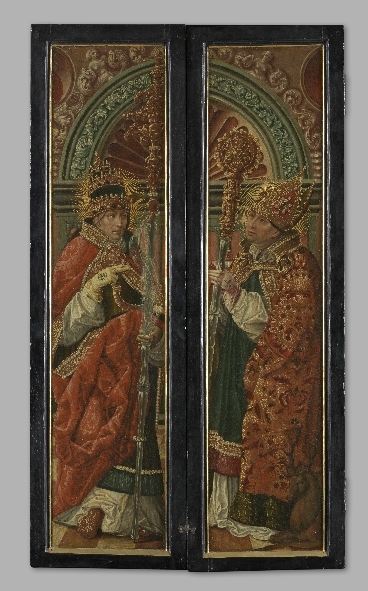 The exterior wings have renderings of Saint Cornelius and Saint Hubert. On the basis of stylistic characteristics the altarpiece is assumed to have been made in Cologne. Due to its mediocre condition, the triptych cannot be shown in the permanent display right away. Interesting information came to light during the research to determine what treatment it required. For instance, there is extensive underdrawing under large parts of the painted surface. Conversely, no traces of drawing are found under a few of the vital sections of the depiction. Moreover, various parts of the painted composition deviate strongly from the underdrawing. Several artists appear to have worked on the painting, and there are many overpaintings. 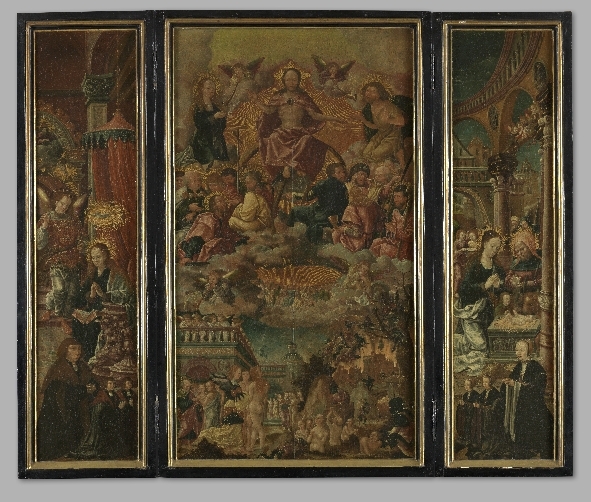 The triptych is full of puzzles, which Peter van den Brink, as an expert on 16th-century triptychs, will explore at this Market table. Born in Deventer in 1956, Peter van den Brink studied art history in Groningen. After brief stints at the museums in Delft and Utrecht he worked on two major projects at Groningen University: Antwerp Mannerism (1991-94) and Pieter Aertsen and Joachim Beuckelaer (1995-98), the latter with Margreet Wolters. In 1997 he was appointed curator of paintings at the Bonnefantenmuseum in Maastricht, a position he held until 2005, by which time he had been chief curator for six years. In March 2005 Van den Brink began as director of the Aachen City Museums. His fields of expertise are Early Netherlandish painting and drawing, especially from Antwerp 1500-1540, as is reflected in the exhibition ExtravagAnt! 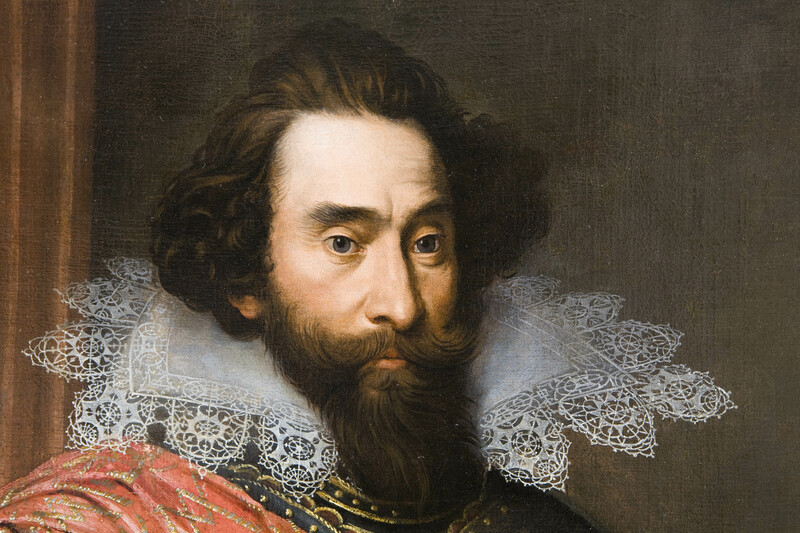 held in Antwerp and Maastricht in 2004-05; and 17th-century Dutch paintings, as reflected in Het gedroomde land in Utrecht and Luxemburg in 1993, and Jacob Adriaensz Backer (1608/09–1651): the great virtuoso in Amsterdam and Aachen in 2008-09. Van den Brink has published more than 30 articles on a variety of topics, ranging from Jan Gossaert to Leonard Bramer and early Antwerp drawings to the practice of copying. His best-known exhibitions are Brueghel enterprises in Brussels and Maastricht in 2002-03 and Painted light: the still-life paintings of Willem Kalf in Rotterdam and Aachen in 2006-07. At present he is preparing the exhibition Leonardo of the North, on the Antwerp-based painter Joos van Cleve, in the Suermondt-Ludwig-Museum in Aachen.